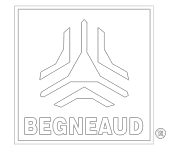 From humble beginnings as a one-man welding operation to a 35-year legacy as an industry leading precision sheet metal manufacturing company with comprehensive capabilities, BEGNEAUD has always held tight to its roots. For founder and CEO Don Begneaud, "Innovation through Common Sense™" is not only a personal mantra, but an approach to responsible company culture and sustainable business practices. Don's interest in welding started at age 14 when he began crafting metal sculptures for exhibit in art shows throughout Louisiana. As his passion for the craft grew, he decided to enter the field professionally. He enrolled in the University of Southwestern Louisiana's—now University of Louisiana—Industrial Technology Program. Eager for additional hands-on experience, Don began working on oil and gas contract jobs, welding from the back of his Datsun pickup truck. Soon, Don was faced with a dilemma. The oil and gas industry was booming, and he found his one man "shop" in more demand than he could handle alone. Determined not to turn down work, Don hired an employee to work the truck while he rode his bike to class. In time, he decided to put his degree on hold and focus full time on growing the business. His hard work paid off—BEGNEAUD forged relationships with giants in the oil field. Eventually the oil boom gave way to recession, and the sheet metal processing industry experienced large-scale stress. "Idea man" Don Begneaud was determined not to lose ground, and he encouraged his team to find practical solutions to survive the hard times. Hence, the advent of "Innovation through Common Sense™." Today, in addition to oil and gas, BEGNEAUD's 65,000-square-foot facility serves a variety of industries, including agriculture, aviation, aerospace, automotive, advertising, architecture, art, communications, food processing, hospitality, marine, medical technology, and more. BEGNEAUD applies its innovative approach to address client projects, as well as internal processes, leveraging top-of-the line TRUMPF equipment to deliver quality customer products and increase production efficiency. Still, BEGNEAUD recognizes that technological advancements alone can never replace human skill, insight, and innovation, and always seeks to maximize the contributions of its team. True to its roots and loyal to its founding principles, BEGNEAUD promotes a culture of peers, reviewing processes, communicating with industry leaders, and continuing education and training to travel avenues of improvement, together. BEGNEAUD is committed to performance excellence and quality production in a team atmosphere.